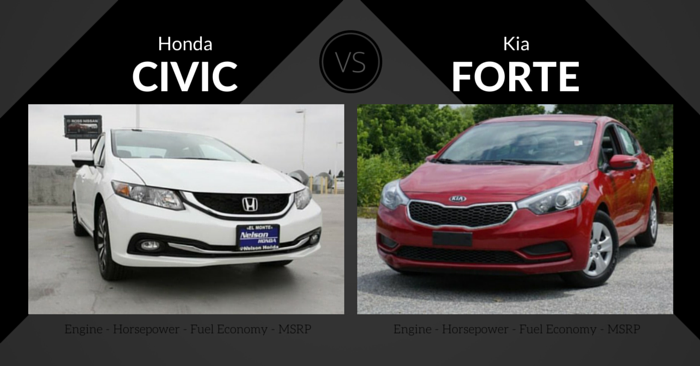 Posted on May 19, 2017	by Tanner Sifferath	in Staff Picks, Vehicle Insights	with No Comments on Staff Picks: Which Vehicle Would You Buy? We at Carsforsale pride ourselves with helping people find their next new or used vehicle. We achieve this by working with auto dealers across the nation to list their inventory. Our car search is quick, easy, and flexible for prospective buyers. First up, car enthusiast and software developer, Darrek Olson. CFS: Tell us a little about yourself? DO: I spend my days working as a software developer creating amazing things for Carsforsale (and occasionally writing blogs). The rest of the time I’m a husband, father, board game designer/enthusiast, and I love driving. CFS: What was your first car? DO: My first car was a 1991 Plymouth Acclaim that I bought when I turned 16 years old. I’d already been driving for a few years by then, but felt it necessary to have my own car. It wasn’t anything special, but I had the desire to make it cool. I changed the stereo and speakers, hub caps, exhaust tip, and installed stickers (this was shortly after the Fast and the Furious movie debut). Either way, this car had a few features which are no longer present in current cars such as seating for six humans, a column-shifting three-speed automatic transmission, and a 0-60 time of about twelve seconds. CFS: What do you drive daily? 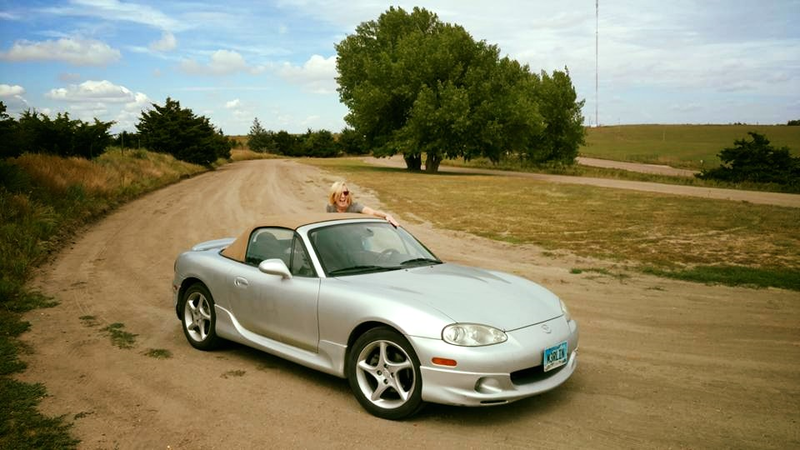 DO: I drive a 2002 Mazda MX-5 Miata every day; rain, snow, or shine. I use it for almost everything. I commute with it. I take my daughter to school. I race it at the local autocross events. Most importantly, I have fun in it! We spend so much time in our cars; why have a vehicle that doesn’t make you smile every time you drive it? This car is the epitome of engaging driving: lightweight, rear wheel drive, manual gearbox, and a convertible. Sure, it’s not fast, but you can’t row the gears in a 400+ horsepower machine in town anyway. CFS: First Pick – your choice when looking at a 2017 Car with a $25,000 Budget? What are you looking for? What makes the list for consideration? DO: I’m looking for driver involvement and entertainment in my daily driver car. I assume this is the car I’m going to spend time in every day so it should get good gas mileage, anything over 30 mpg is fine. The car needs a manual transmission, crisp steering, and enough trunk space for a guitar. This is a frustrating pick! There are so many great cars in the $25k – $30k range that are just out of the price range. Mazda MX-5 Club. Toyota GT86. Volkswagen GTI. Chevrolet Camaro. Subaru WRX. Mini Cooper S. You get the picture. Anyway, under $25k, the pack slims majorly (however if you can find one of the above cars new under $25k, I approve). The Fiesta ST delivers fun so easily and affordably. These are going for as little as $18k new. The only powertrain is a 197 horsepower 1.6 turbo mated to a six-speed manual gearbox (automatic is not offered on the Fiesta ST) with front wheel drive. This doesn’t seem like much to brag about, but with only 2720 pounds to tow around and maximum torque hitting at 2000 RPM, it is plenty quick, hitting 60 in seven seconds. Besides numbers, the car is an absolute gem to drive, behaving just as you’d expect… almost… telepathically. The ST comes nicely equipped by default and includes most of the niceties you could want which are options on lesser model Fiestas. I’d spring for the Recaro package ($1995), which adds Recaro heated bucket seats. And since it’s not my money, I’d also get the black wheels and red brake calipers for kicks (a $375 paint job, ouch). I really enjoy the Abarth as well, and it is a close second. It’s a bit more extreme in every way than the Fiesta. It looks like a spicy jelly bean. Boost lags until later in the power band and comes on very aggressively. It sounds angry. However, everything the Abarth does, the Fiesta does just a bit better, and the Fiesta has a bit more interior space. I’d still totally own one of these though. On paper, the Focus ST is the better car. It’s bigger, faster, and more practical. However, for the enthusiast driver, everything on the Fiesta ST is just a bit more refined and dialed in and just is more fun to drive. If you find the Fiesta and Abarth a bit too small, the Focus ST might be for you. 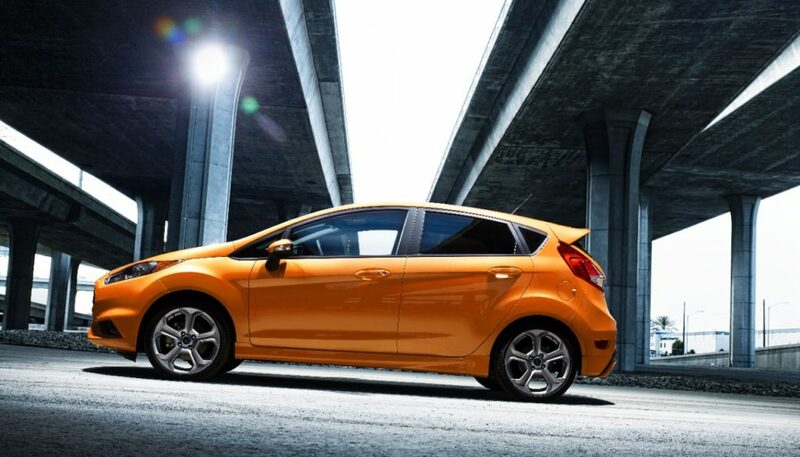 It offers more than double the trunk space of the Fiesta, and also more room in the cabin. CFS: Next up, trucks! With a $50,000 budget, what 2017 Truck would you be interested in? DO: Since this is the truck category, my pick should be able to perform truck things. I’m no truck person. I don’t camp. I don’t hunt. I don’t fish. I don’t tow things. I don’t haul things. However, I do know what a truck looks like. What I’d look for in a truck is over 25 mpg, quick acceleration, and quirky features to make it stand out. I don’t want to be one of the millions of F-150s on the road. The Honda Ridgeline has been an anomaly since its inception in 2005. 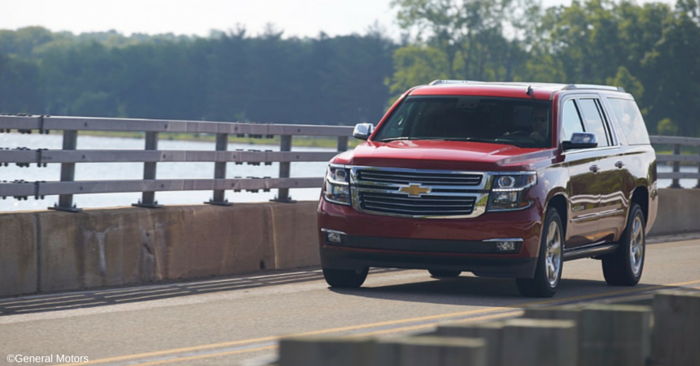 It is a unibody truck, which makes it more like a car than a truck in some ways. It can be had with front-wheel drive (really?) or all-wheel drive and only comes with a 280 horsepower v6 and only comes with an automatic transmission. Why is this my choice?! 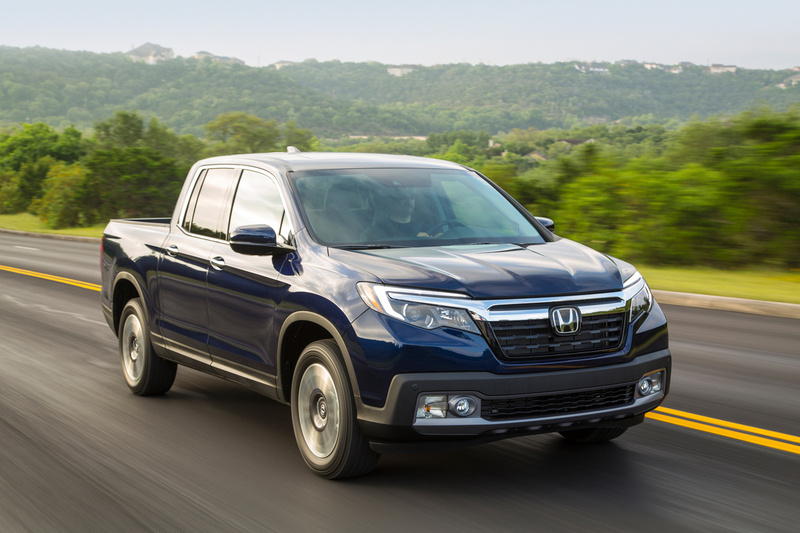 Since the Ridgeline is built on a lightweight chassis, it is faster to 60 than any other midsize pickup. It handles better. It’s quieter on the highway. It gets better gas mileage than the other trucks (except the diesels and four cylinders). The box is larger than other midsize pickup short boxes, and the floor sits higher than others to allow wide loads to sit flat. Along with this benefit, the other pickups don’t have a trunk! That’s right, the Ridgeline has a trunk that sits behind the rear wheels and has 7 cubic feet for things such as golf bags, groceries, bodies, or to fill with ice and your favorite refreshments (there’s a drain plug too). Accessing the trunk would be difficult with a normal tailgate, so Honda made the tailgate open like a door in addition to traditionally for easier access. The truck bed can also be used as a giant speaker to play music while you’re outside, because why not? The ridgeline can carry 1500 pounds in the bed and also tow 5000 pounds, which is slightly less than the other midsize pickups. This truck will not perform as well as the full-size trucks in trucking, but I believe it’s a better all-around choice and could easily be a household’s single vehicle without breaking the bank on fuel. The Ridgeline I’d buy would be the top of the line Black Edition, which can be had for $39-45k. This has all of the features I’ve mentioned and more, and with cash to spare. Heck, I’d even get the optional tent, because ‘Murica. I thought the Tacoma was going to be my choice from the beginning. It is the most macho looking and can be had with a manual transmission. It is super durable and designed for doing all sorts of manly stuff. However, it is just too abrasive on the street and is more suited for off-road adventuring. I really wish this was offered with a turbo or supercharger. CFS: People movers are all the rage right now, SUV’s, Crossovers, even Minivans. You have $35,000 in Carsforsale Cash, what makes the cut? DO: This segment is one I’ve shopped quite a bit before. Getting my three kids into car seats is not a fun task, and even less fun when trying to cram them into a single bench seat three wide. Therefore, my focus narrowed to vehicles with a third row “back of the bus” seating option. Mazda completely redesigned the CX-9 last year and it now sports a 2.5-liter turbo four, good for 250 horsepower and 310 lb-ft of torque. Most similar cars use v6 engines still, but this change results in the top gas mileage ratings in the class. While you’re probably just hauling around a bunch of booger-eating kids, the car shouldn’t feel like just a people mover. 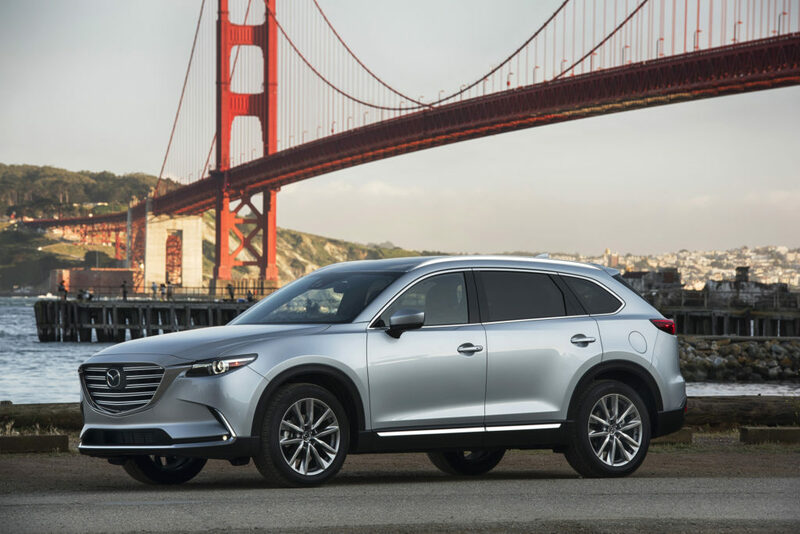 Like all things Mazda, the CX-9 is engaging to drive. It has plenty of torque low in the rev range for beating the other parents to the front parking spot at school (I don’t condone speeding in school zones, this was just an analogy). And the suspension is firm with little body roll, giving a sports sedan feeling. However, the best feature is the quality of the car. 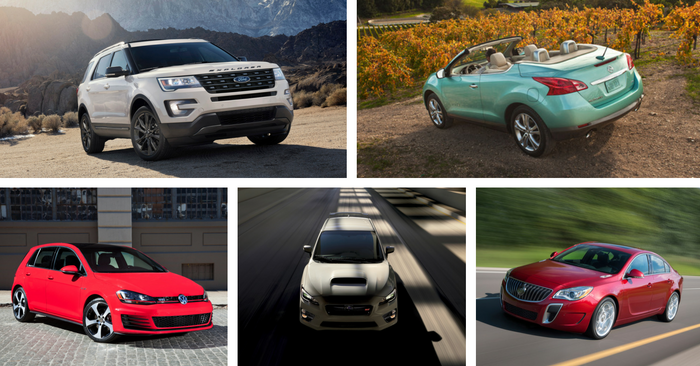 Materials are borderline luxury in the higher trim levels, and still great in lower ones. Riding on the highway is super quiet now, thanks to new sound deadening in the floor and glass. Since The base CX-9 starts over $30k, options are limited to stay under $35k. My CX-9 would be a Touring model, which adds heated leather seats, smart key pushbutton start, color infotainment system, and a few other goodies. I’m not sad to keep front wheel drive, as it boasts two more MPG, saves $1800, and some weight over the all-wheel drive. I’d also opt for the soul red metallic paint ($300). There are too many silver and gray cars in the wild (says the guy with a silver car). The Pacifica follows the Town and Country’s legacy as Chrysler’s flagship people hauler. It is super capable and comfortable, and that’s what I’d expect in this segment. If you can get over the stigma of a van, check these out. Seriously. Minivans are the best if you have kids, and the Stow-N-Go seating is fantastic. CFS: What’s your pick when it comes to a Classic? 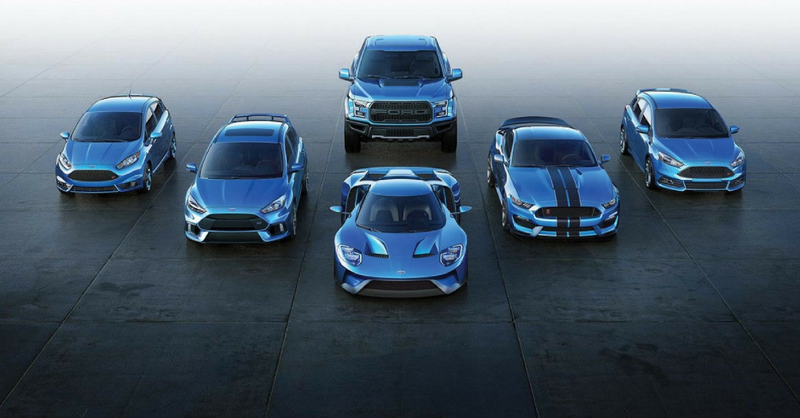 With a $20,000 budget, what’s your dream collector’s vehicle? Also, what’s your definition of classic? DO: My designation for a classic car is anything over 25 years old that has started appreciating in value. 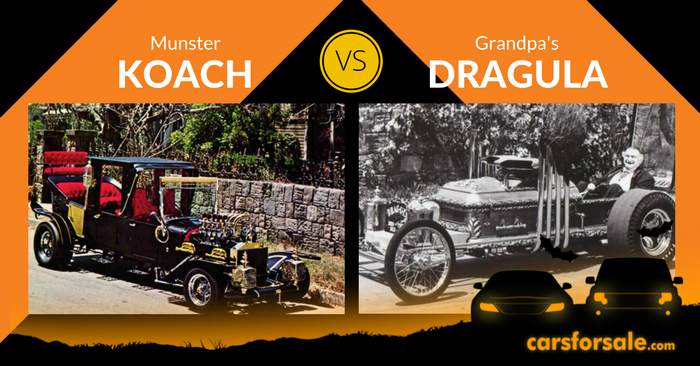 These are cars that make you stop and admire them, or wonder who kept that old thing alive. These are the type of cars that will most likely stay in the family for generations to come because of their quirks, beauty, or value. If you haven’t figured it out by now, I’m a yuge fan of Mazda’s cars. But no car holds a place in my heart like the Mazda RX-7. It’s a testament to Mazda’s uniqueness and passion for driver involvement. The RX-7 was powered by a rotary engine with a displacement of 1.3 liters, much smaller than conventional engines. However, due to the engine design, rotary engines produce about twice the power of other engines the same size. 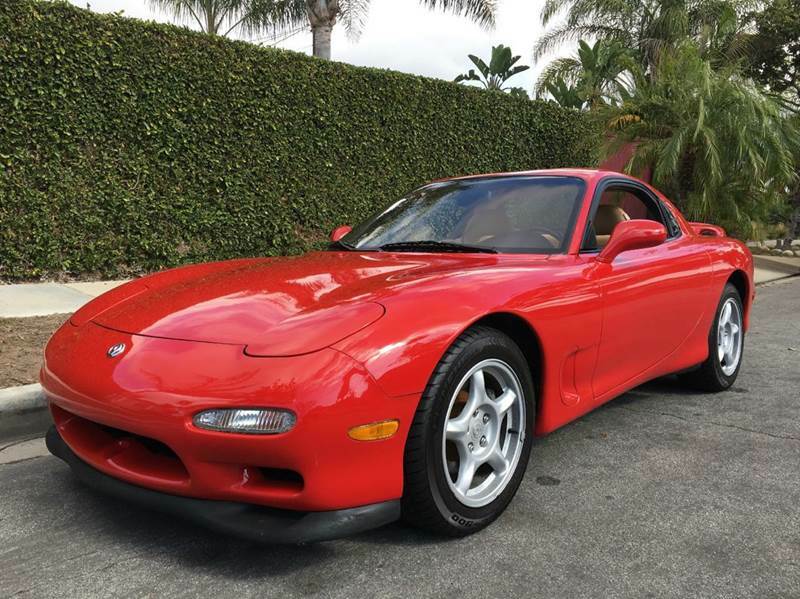 All RX-7s from this time were sequential twin turbo (the first production car to have this) and generated 252 horsepower (quite a bit for the early 90s). The first turbo spooled up quickly for immediate power low in the RPM range. A valve opened up the second larger turbo around 4500 RPM to maintain boost up to the 8000 RPM redline. This fancy technology combined with a low weight of about 2700 pounds meant that Corvettes of the time didn’t stand a chance in a straight line. The RX7 also could dance lightly around corners the bigger cars would have to slow down for. More recently, many RX7s have been engine swapped for v8 power because the chassis is so perfect and v8 motors make more power with less fuel consumption. There is no classic car I’d rather have than a 1993 RX7 with a manual transmission. In my opinion, they have a timeless look and the driving experience is unbeaten. I should jump on one quickly though, because few are available under $20k, and prices are going up. Another twin turbo sports car from the early 90s. A more well-rounded and comfortable cruising car than the RX-7 with still beautiful styling. These are great, but a real pain when the turbos break. CFS: With a budget of $15,000, what used vehicle would you choose as a daily commuter? DO: What is a commuter vehicle? I assume it’s just a car to get you to work and get good gas mileage? Let’s go with that. Oh, in addition, let’s make sure it’s fun (something I am always looking for). The CR-Z was an attempt by Honda to create a fuel-sipping hybrid car that was also fun to drive, and also a throwback to the CRX of the 1980s. What it resulted in was a car that didn’t do any of those things extremely well. It has a 1.5 liter four cylinder engine and an electric motor that combine to provide 130 horsepower. The neat thing is that this hybrid can be had with either a six-speed manual or a CVT. This resulted in up to 39 MPG highway, not stellar for a hybrid. The result of this mediocre performance, along with the CR-Z being only a two-seat vehicle, means that demand is pretty low, along with prices. 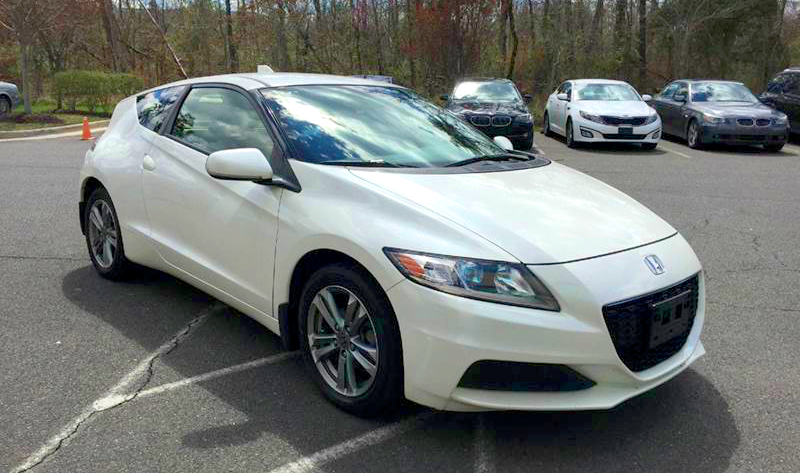 A good condition CR-Z with 50k miles can be had for around $10k, which leaves a lot of miles left. With the extra five grand, I’d buy a Honda Performance Supercharger to take power up to 200. That’s how to commute. There are not many cars better suited for cruising than the Mazda MX-5. However, the third generation (2006-2015) MX-5 only delivers about 28 MPG highway, which might not be enough if you’re hoping for the best gas mileage. The compromise is easily balanced by how many smiles per gallon you’ll be getting. CFS: So, what was the easiest vehicle to decide on and why? DO: The 2017 Fiesta for the $25k car was easiest to decide on. There just aren’t many fun new cars out there for under $25k! Like I mentioned, If I had $30k to spend, it would have been a much tougher choice. CFS: What process did you take when searching Carsforsale? DO: I mostly knew what specific models I was looking for, so I used the Make and Model search functionality. However, for the classic cars, I did narrow down the results using the Vehicle Type and Year. When I am shopping for cars, the zip code search is an invaluable tool for finding relevant results nearby. Stay tuned for more staff writers and their picks. So tell us, what are your picks from the categories from above?